Order the US Blu-ray with both versions. What made The Strangers, starring Liv Tyler and Scott Speedman, so appealing was its alternate concept that earned considerable praise among horror fans compared to more generic slasher films and home invasion thrillers. 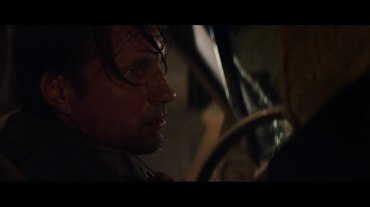 Three masked killers who barely talk, don’t demand anything and eventually torture and kill their victims – that story had an impact on many moviegoers. Especially since this strange case has a basis in real life. It’s no surprise that talk about a sequel quickly emerged after the theatrical run in 2008. It was quite reasonable, too, since the killers were still at large after the events of the first film. Still, it took ten years until The Strangers: Prey at Night started in cinemas. The initial script would have even brought back Liv Tyler’s character but planned to let her die within the opening minutes. Director Johannes Robers (47 Meters Down) wasn’t a fan of that idea and it didn’t come this far in the end. Instead, we follow a family of four that encounters the three killers in an abandoned bungalow village. The events are not limited to one house but in the wide-ranging surroundings which robs the film of a good deal of its predecessor’s claustrophobic atmosphere. With its 78 minutes of pure runtime, it feels much more like a classic, straightforward slasher film. That’s not a bad thing per se, but more generic in comparison to the first film. In terms of violence we see an increase, especially regarding the body count, which also makes a third installment a little less likely. In the US, the MPAA gave its “R” rating (for horror violence and terror throughout, and for language). 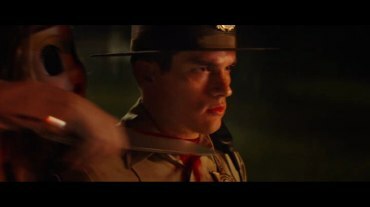 Just like the first film (see comparison), the home video releases on DVD and Blu-ray also feature an Unrated version that really feels like it was specifically produced to serve as a sales incentive. 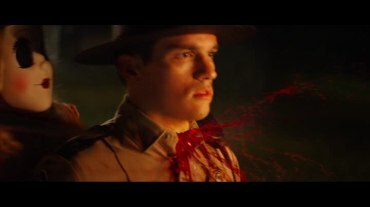 Some gore scenes have been equipped with added CGI blood that is sometimes clearly visible, sometimes only noticeable when you check it frame-by-frame. Otherwise, there is not a single second of added material. It’s probably safe to say that these added blood spurts wouldn’t have threatened the “R” rating. Compared are the Theatrical Version (R-Rated) and the Unrated Version (both included on the US DVD by Universal Pictures Home Entertainment). 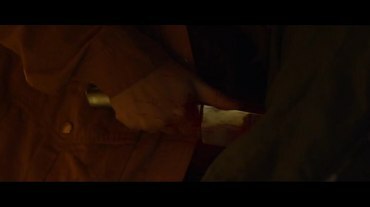 0:34:09: When Dollface pulls the knife from Cindy’s back for the first time, the theatrical version only features a small blood spurt while the Unrated shows considerably more. 0:34:13: Dollface twists the knife in Cindy’s back and the Unrated is bloodier here, as well. 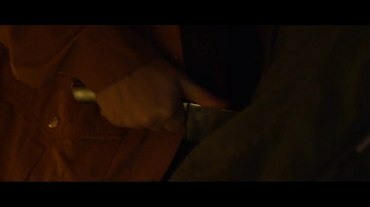 0:49:10: Barely noticeable CGI blood spurt as we see the tool stuck in Mike’s throat. 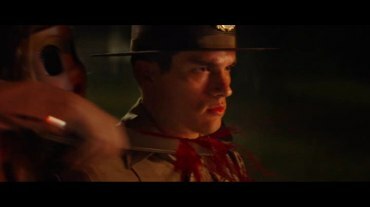 1:06:54: When the cop’s throat is slit, the Unrated is much bloodier.